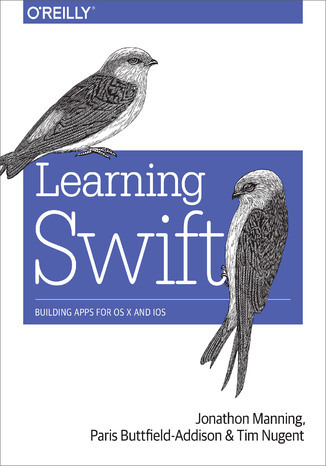 Get hands-on experience with Apple...s Swift programming language by building real working apps. With this practical guide, skilled programmers with little or no knowledge of Apple development will learn how to code with Swift 2 by developing three complete, tightly linked versions of the Notes application for the OS X, iOS, and watchOS platforms.In the process, you...ll learn Swi ft...s fundamentals, including its syntax and features, along with the basics of the Cocoa, CocoaTouch, and WatchKit frameworks. This book teaches you how to use common design patterns for Swift, how to structure an application for Apple...s platforms, and how to submit working apps to the App Store.Divided into four distinct parts, this book includes:Swift 2 basics: Learn Swift...s features for object-oriented development, as well as various developer toolsOS X app development: Set up your app, work with its documents, and build out its featuresiOS app development: Use multimedia, contacts, location, notifications, and iCloud files to build a fully featured iOS Notes appAdvanced app extensions: Support Apple Watch and learn how to debug, monitor, and test all three of your Swift apps Ebook porusza temat Learning. Jedną z istotnych spraw poruszanych w ebooki jest: Building. ISBN 978-1-4919-4069-3. Porównywarka cen ebooków, które dostępne są w formatach PDF, MOBI i innych. Na urządzenia Kindle i inne. Tutaj znajdziesz ebook, którego szukasz. Nie wszystkie ebooki w ofercie są darmowe. Wspierajmy autorów i kupujmy ebooki.